J.R.R. 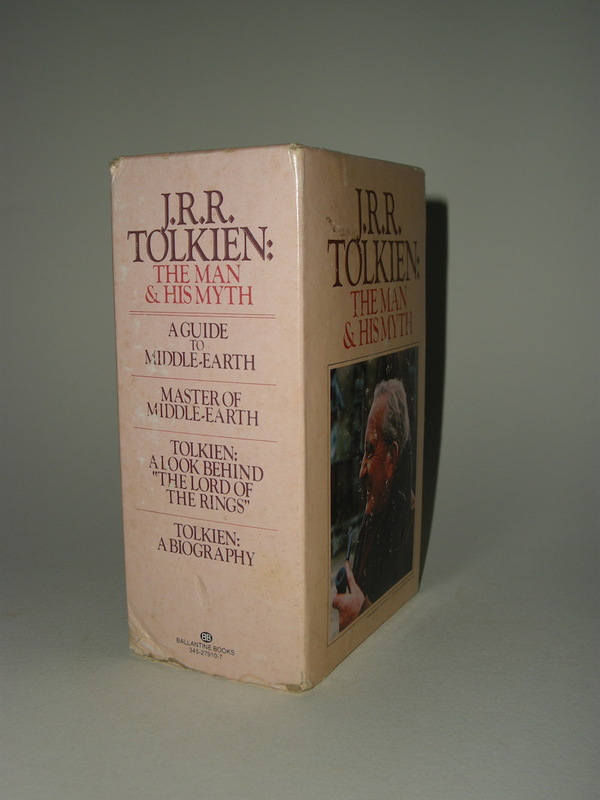 Tolkien: The Man & His Myth: A Guide to Middle Earth, Master of Middle Earth, A Look Behind The Lord of the Rings. 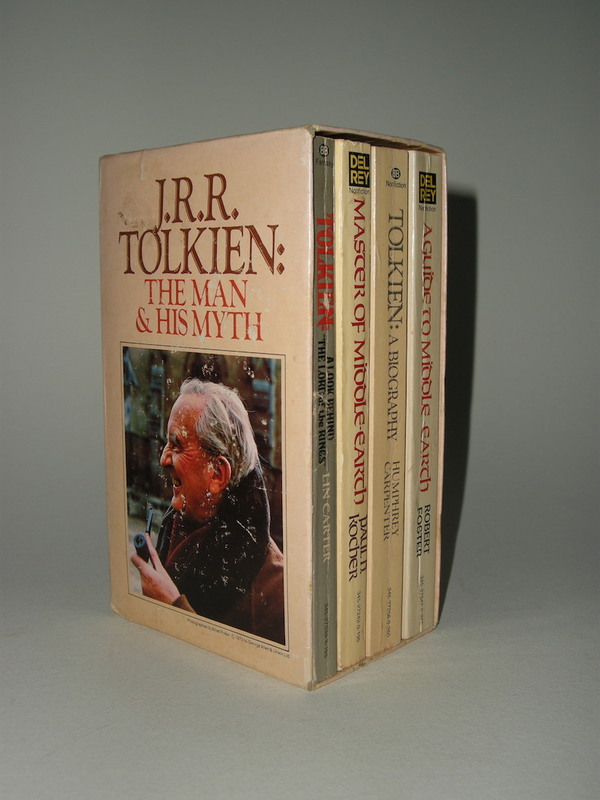 A Biography, 1978, Ballantine Books box set, 4 volumes. 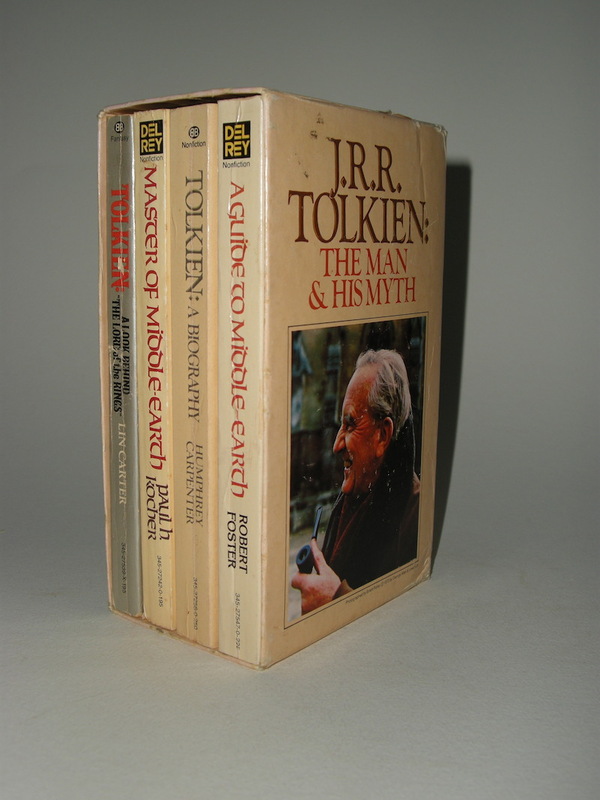 This set includes: A Guide to Middle-earth, Master of Middle-earth, Tolkien: A Look behind "The Lord of the Rings" and Tolkien: A biography. 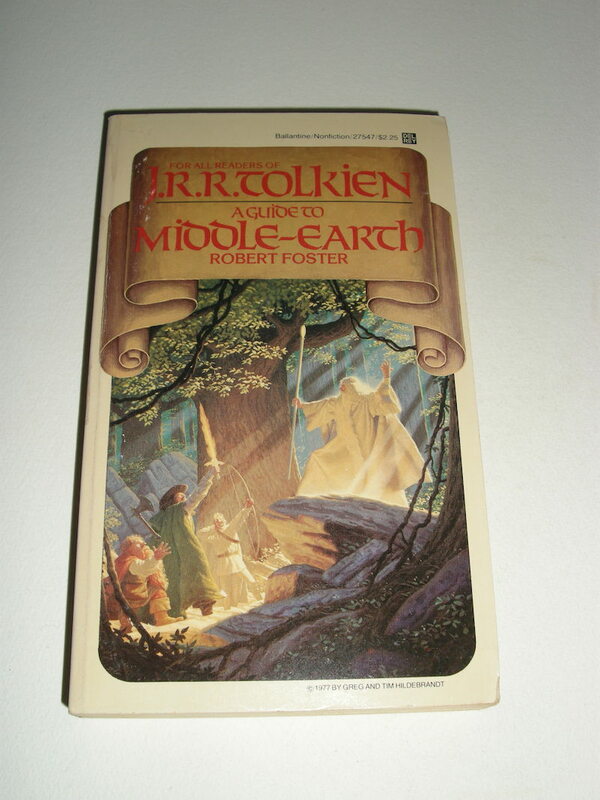 A Guide to Middle-earth by Robert Foster is the 8th printing, December 1977, Del Rey / Ballantine paperback. 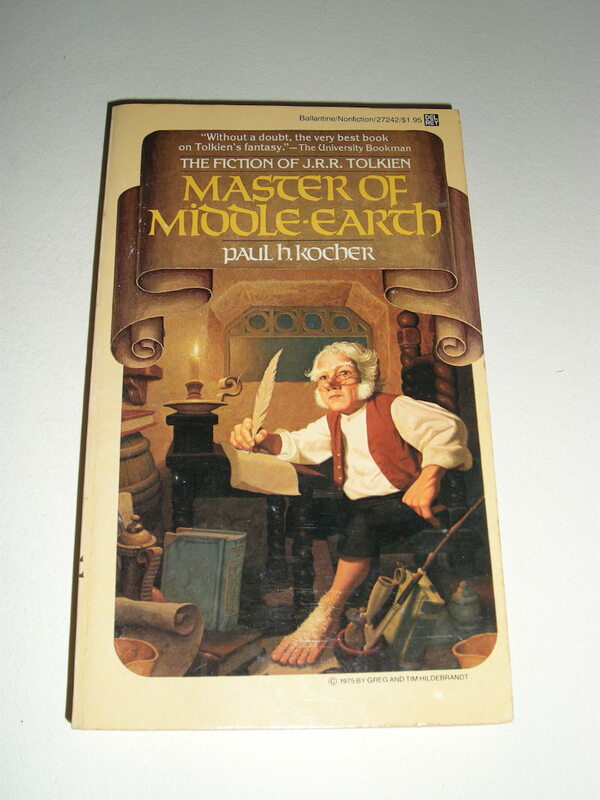 Master of Middle-earth by Paul H. Kocher is the 1st printing, October 1977, Del Rey / Ballantine paperback. 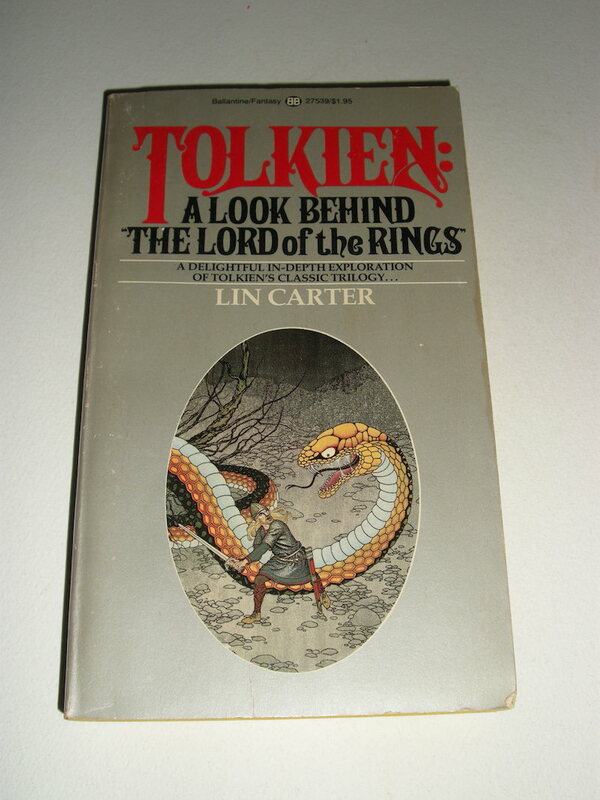 Tolkien: A Look behind "The Lord of the Rings" by Lin Carter is the 14th printing, May 1978, Ballantine paperback. 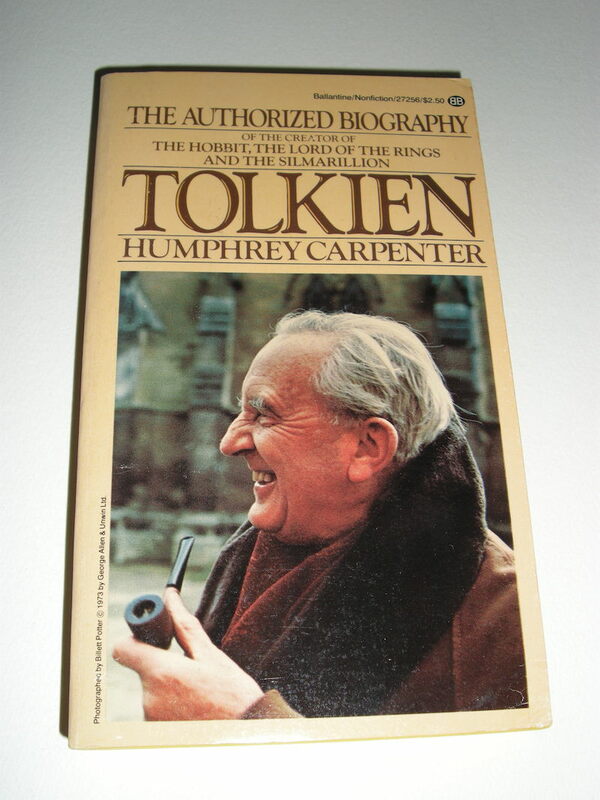 Tolkien: A biography by Humphrey Carpenter is the 1st printing, September 1978, Ballantine paperback. ISBN's 0345275470, 0345272420, 034527539X and 0345272560. 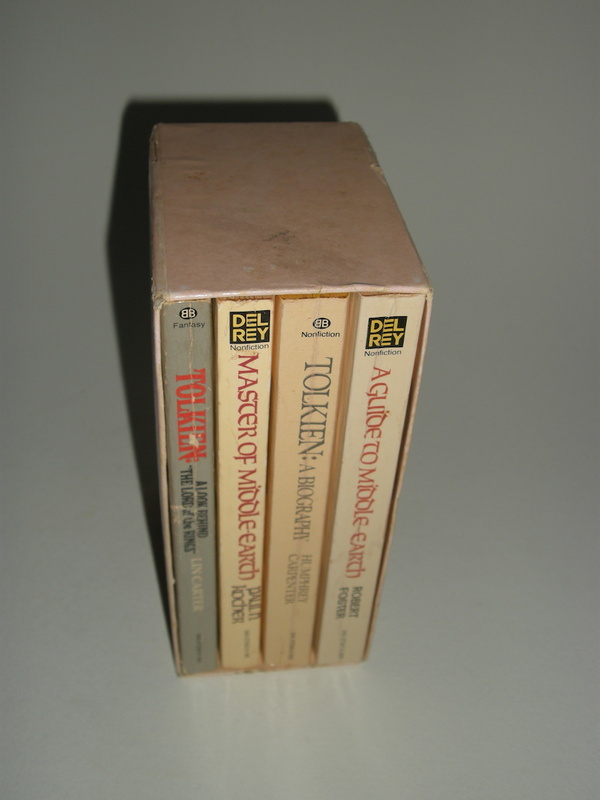 Paperbacks. 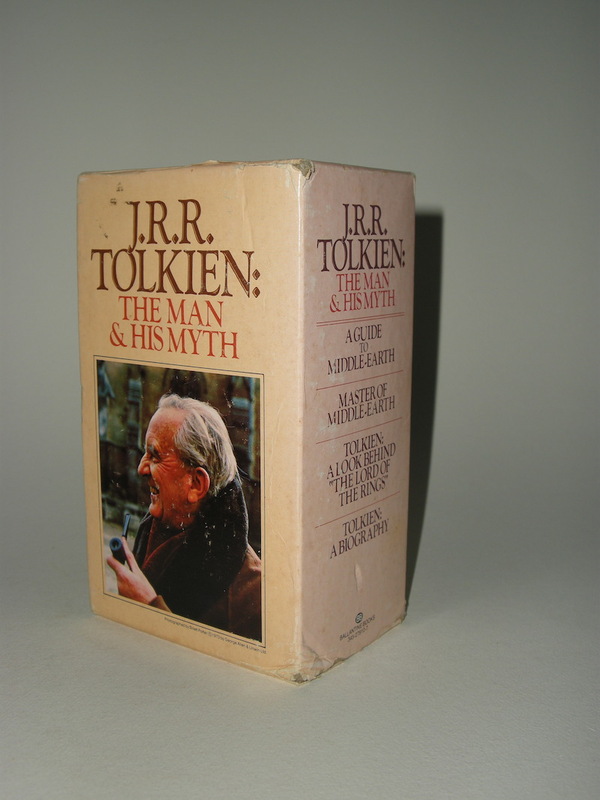 Issued in a slipcase with ISBN 345 27910 7. Slipcase and cover photo by Billet Potter © 1973 by George Allen & Unwin Ltd. 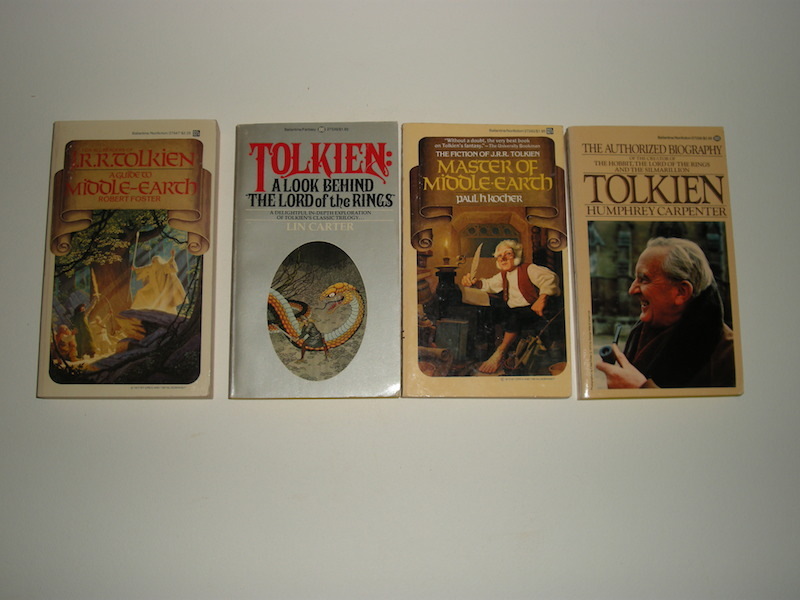 These paperback books are in very good condition. With some bumps, rubbing to the corners and spines. Spines are broken, but books appear to be unread. The slipcase has seen better days, with some rubbing and bumps to corners, so showing some color loss, bumps and tears to the corners and sides. Some rubbing to bottom and the top paper a bit loose.